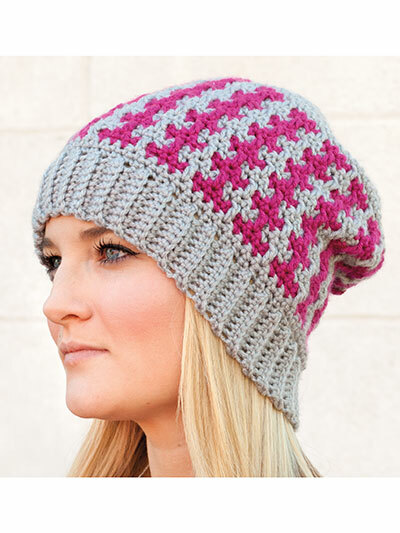 This gorgeous hat is easy and fun to make. The concise instructions and photos will take you step by step through the creation of basic mosaic fabric. Crochet with worsted-weight yarn and U.S. size H/8/5mm hook. Size: 18 (20 1/2, 23)" circumference.